So simple a dog can use it and so elegant, you'll want it on show. The John Beck Steel Feeder is like no other, forged from hand-formed, powder-coated steel that holds fine white porcelain bowls. 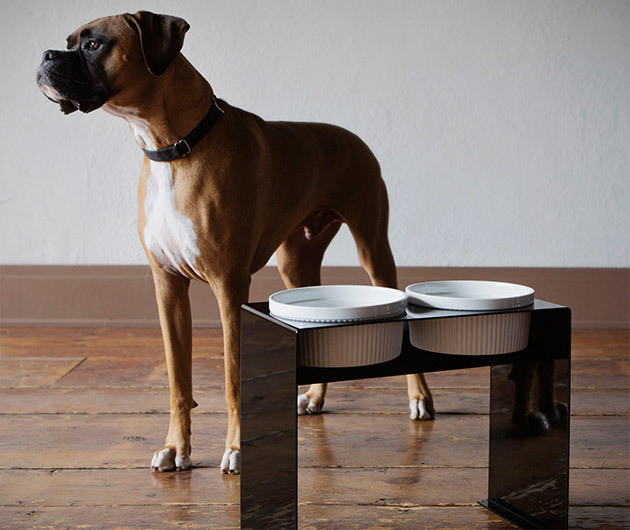 Available in a host of hues and for all pooch sizes, the stands are also guaranteed for life. Your dog will lap it up.